Scientists, artists, activists, philosophers, lawyers, and spiritual leaders share their intensely personal experiences while pondering the meaning and import of human/animal relationships. 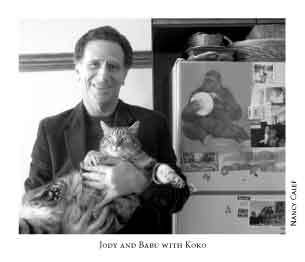 From prairie dogs, donkeys and squid to Best Friends Sanctuary's dogs and cats, the contributors tell of a wide variety of insightful encounters with animals. Jane Goodall recalls how her commitment began with a fateful childhood meeting with a dragonfly. 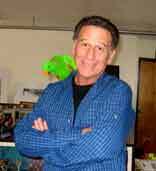 Homeless veterans find healing with the parrots of Serenity Park. Musician Jim Nollman plays the waterphone for an audience of orcas. Our understanding of animals has increased greatly in just the last few years. 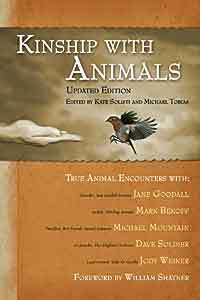 Kinship with Animals Updated Edition contains new research findings and new contributors. Wesley the Owl saves a woman's life. A rescued whale shows his gratitude. 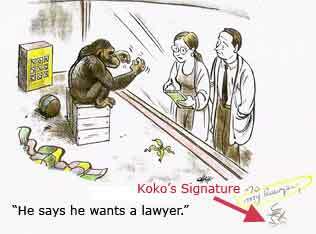 Lawyer Jody Weiner muses on Koko the Gorilla's sexual harassment lawsuit. Dave Soldier designs instruments for the Thai Elephant Orchestra. This collection of over thirty stories will inspire and delight animal-lovers of all stripes. This is a compendium of so many intelligent people, so many feeling animals, so many anecdotes that will move you to awe and tears."